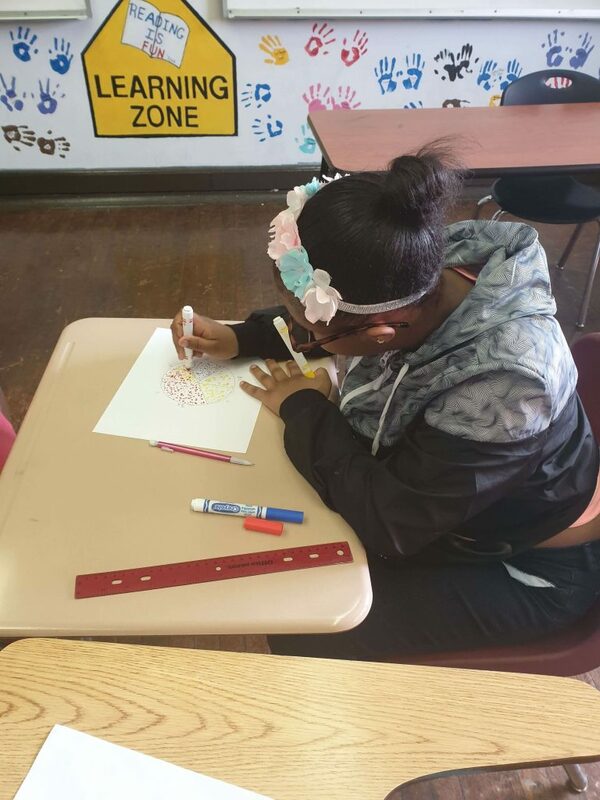 Color Wheel Pointillism | Art Sphere, Inc.
At Southwark, we created another color wheel test for the students. 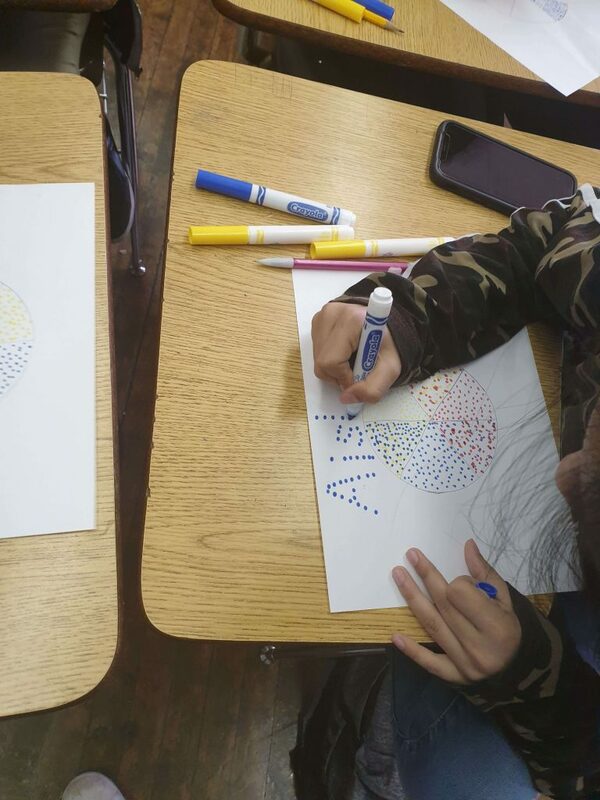 This time we introduced the art style pointilism, which is painting in which small, distinct dots of color that are applied in patterns to form an image. 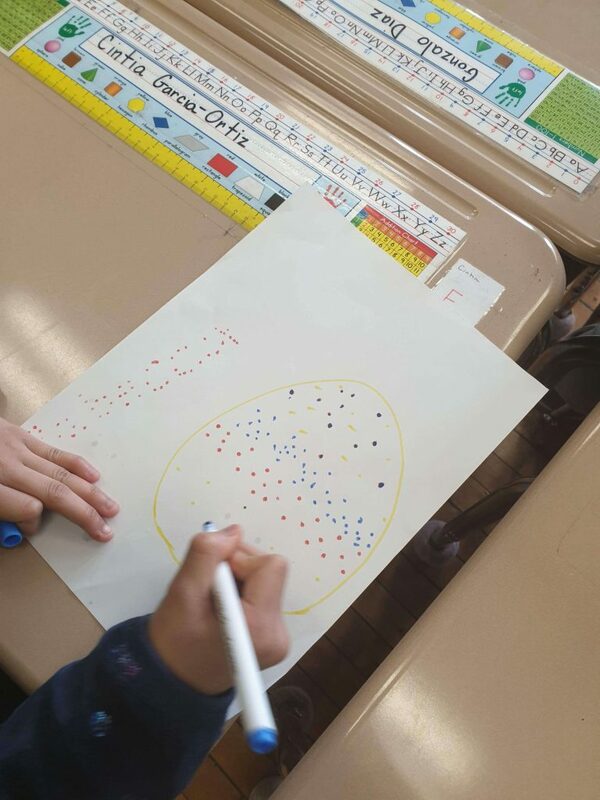 We showed how two colors of dots close together formed another color when looking at it from a distance. For example, blue and red dots together look like purple. Using this information, we had them create the color wheel using only primary colors: red, yellow, and blue. After this, just to practice pointillism a little more, they wrote their names with this technique. I think this worked out really well with our middle school class. 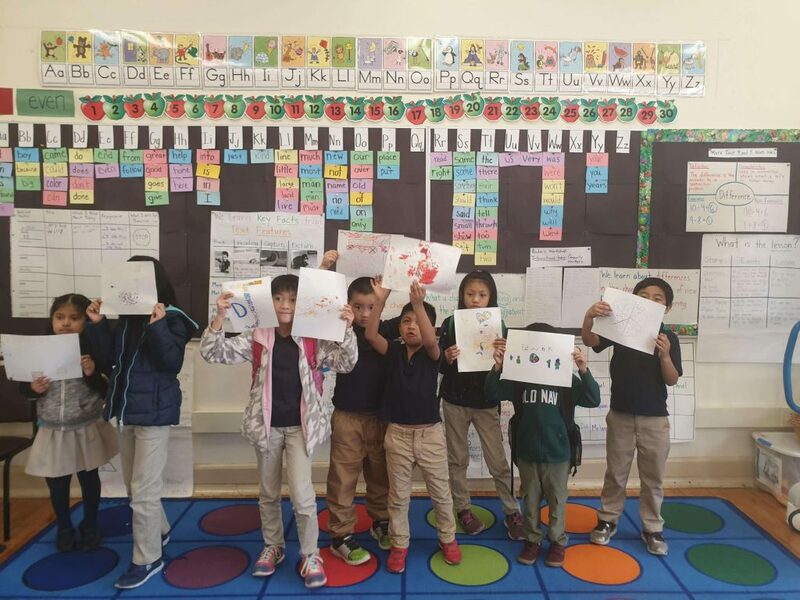 They all completed this activity, and all their color wheels looked really great. They also were able to learn a new style, which is always fun to experiment with. 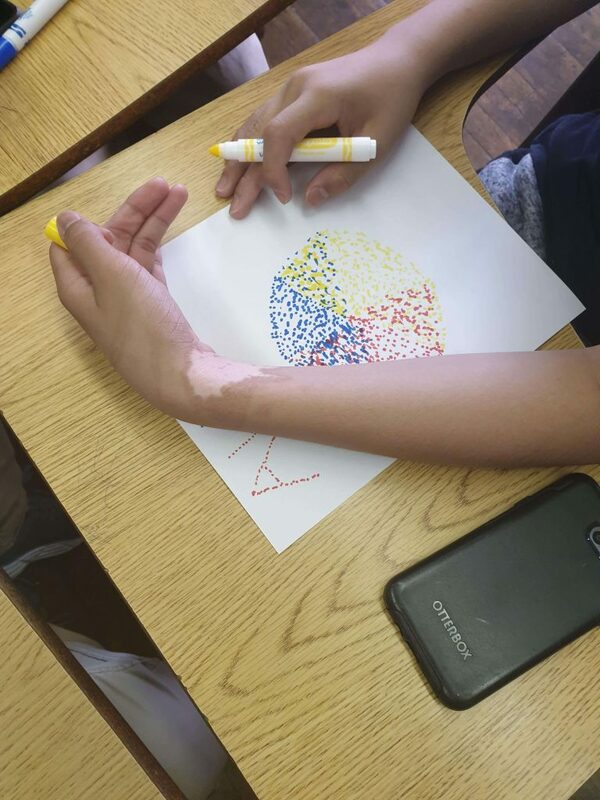 Instead of color wheels with the younger class, we had them draw pictures using only dots. We also only let them use primary colors. 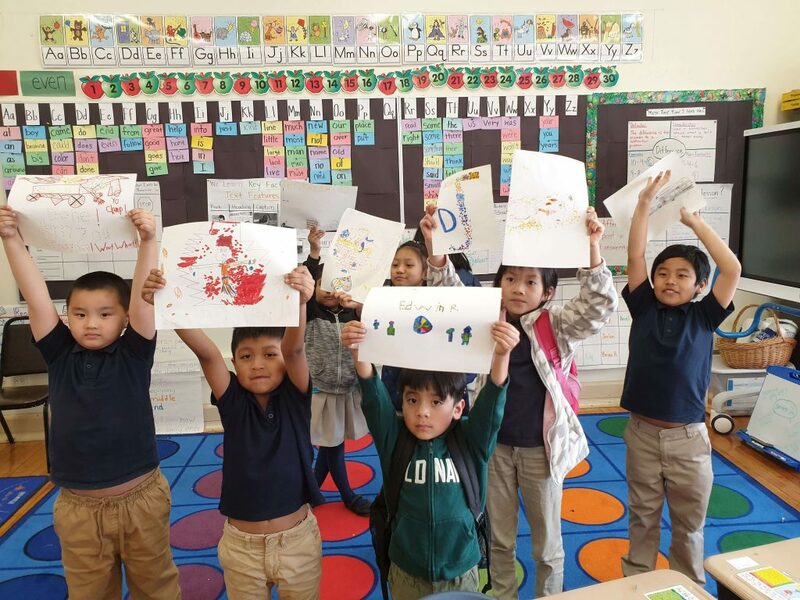 At first they were confused because they wanted access to all the colors, but they became super excited when they learned to experiment mixing the colors of dots and that it would turn out to be a different color from afar. 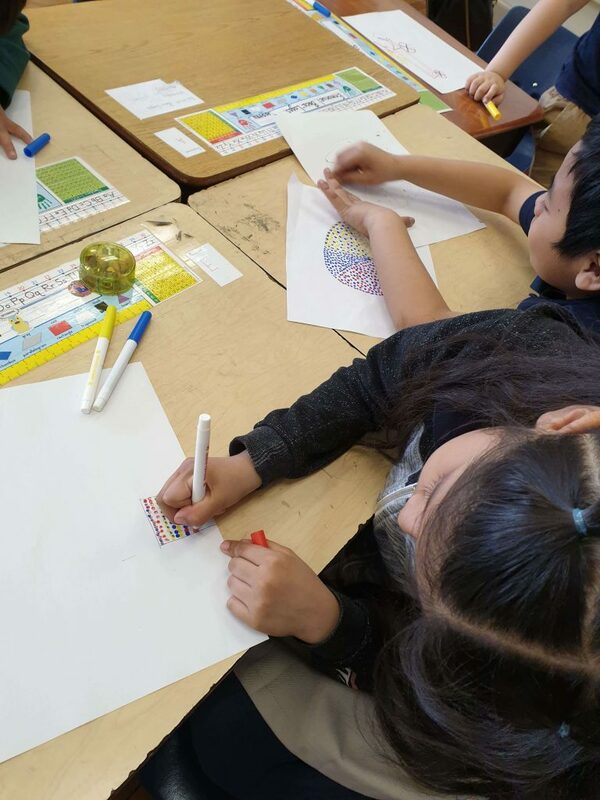 Their pictures turned out awesome, and they were able to learn about the color wheel without even drawing it. 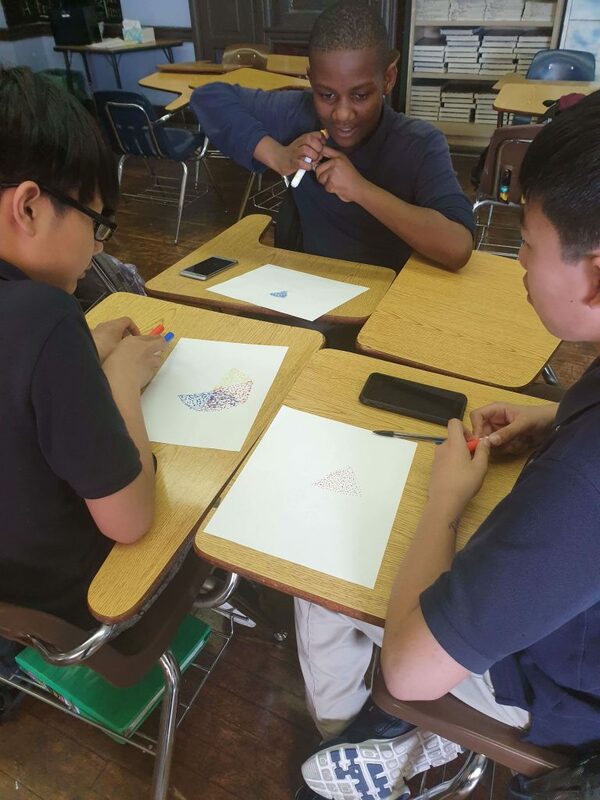 Share the post "Color Wheel Pointillism"